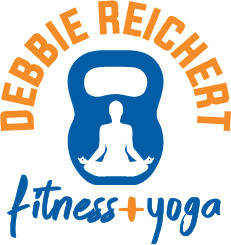 ﻿ Debbie Reichert, owner of Debbie Reichert Fitness (DRF) is a Nationally Certified Group Fitness Trainer in the Columbus, OH area. She specializes in personal training & small group training. All fitness levels are taught in her small groups through appropriate modifications provided according to individual needs. As a personal trainer Debbie offers customized, one on one workouts for each of her clients. If you live in the Columbus, OH area and are looking for some one on one training she’d love to help you. Also certified for nutrition in sports and exercise, Debbie can help you reach your goals even quicker through the help of proper nutrition and supplementation where necessary. All small group fitness training sessions are paid for in advance and go on a month to month basis. The average cost to train with Debbie in one of her groups is $110/month, three times a week is $165/month, etc. It is possible to train once a week with Debbie for $55/month, however, Debbie prefers to see her clients at least twice a week to get the most from her training programs. As you can see, joining a small group can be a much more cost effective approach to training, and the group environment is a great way to be held accountable to your fitness goals, as well as a great community feel to be apart of! Small groups are run typically in a circuit format with an emphasis on strength training, with endurance and flexibility work tied in as well. By keeping the groups limited to no more than 9 people it allows Debbie to still give as much personalized attention as she can which is very important to both she and her clients. Although Debbie asks that you stick with your scheduled day/time, in the event that you must miss a session, have no fear. She runs 22 small groups throughout the week that you can always make up your missed session in the same month that you missed. If you are interested in starting your own group, be added to an existing group or be put on a waiting list for an existing group, please contact me. Our Personal Training and Small Group Fitness studio in Lewis Center is conveniently located near Delaware, Dublin, Polaris area, Powell, Westerville and Worthington. Clients from these Columbus, OH local cities have hired me as their personal and group fitness trainer: Bexley, Blacklick, Canal Winchester, Clintonville, Delaware, Dublin, Gahanna, Grandview Heights, Grove City, Groveport, Hilliard, Lewis Center, New Albany, Pickerington, Pataskala, Plain City, Powell, Reynoldsburg, Upper Arlington, Westerville, Whitehall and Worthington. What first drew me to Debbie Reichert Fitness was her philosophy about one-on-one training… ‘I become your PERSON,’ she said. She told me she’d be the one to hold me accountable. She’d track my progress. She’d check in with me throughout the week to be sure I was keeping up my end of our deal. And she has more than delivered on those promises. Not only have I seen my body change–I’ve become leaner with more muscle definition and I’m stronger than I’ve ever been–but my attitude toward fitness has evolved as well. I’ve made fitness a daily priority. But I’ve also incorporated her healthy lifestyle habits outside the gym, and I couldn’t be happier with the results. Debbie has changed my family’s life. I have been working out with Debbie for several months now: in 1-on-1 sessions primarily but also in small groups and at her Boot Camps. Because of Debbie, I am the strongest I have ever been in my life. She brings the best out of you and helps you step out of your comfort zone to push you to become the best person you can be. The workouts are unique and are tailored specifically to your strength/fitness but are demanding. Most importantly, Debbie treats her clients like family and not like “clients” and has been a true inspiration to all of us. I have been training with Debbie for a year now in a small group once week until this past September when I started training 3 days a week with an amazing group of women! As a trainer Debbie is tough, inspiring and supportive all at the same time! She pushes when I need pushed and slows me down when I need rest; I am recovering from a ankle sprain right now and I am banned from the gym until I heal as I should be! I am lifting more than I ever thought was possible, doing push ups on one leg and have more cardio endurance than I have ever had in my life. During one of her boot camps earlier this month I won a plank off and push up challenge…all I could hear was Debbie’s voice saying yes you can! I highly recommend training with a small group for additional support and encouragement! Over the past year I have made some great lasting relationships with wonderful ladies that have the same passion for health and fitness that I do! Hi, my name is Kim, I have four children and two grandchildren. I never thought I would ever go to a personal trainer. Thankfully, my sister-in-law asked me to join her in a small group. I decided to give it a try. It is the BEST thing I have ever done for myself! I absolutely love it! I started last February going two days a week for one hour sessions. Debbie’s workouts made me feel so good! As time progressed I decided to try Saturday morning bootcamps. Wow! I left every bootcamp happy and feeling great! I knew I was doing something good for myself. Soon I found myself enjoying Debbie’s training so much, I added another day to my workout schedule! We lift weights, do floor exercises and cardio. I am amazed at how many different things Debbie can come up with! It never gets boring! We work very hard and constantly challenge ourselves to push it to the next level. I also attended Debbie’s Clean Eating Workshop. Here she encouraged me to eat better by suggesting simple solutions to making healthier food choices. I look forward to all my workouts and feel like it is such an important thing to do. I can feel myself getting stronger and can see I am getting toned. I still need to lose some weight, but I’m headed in the right direction. Best of all, it makes me happy and I feel great! Debbie modifies my workout to meet my individual needs. She is a great motivator!!!! We have lots of fun too! We share laughs, giggles, sweat and some good stories! I would like to thank Debbie for helping me become a healthier, happier, fit person! Its never to late to start! Thank you so much for all you do. Thanks for helping keep me accountable! A year ago I walked into the gym unhealthy and out of shape. I am now…. 10 lbs lighter, 2 sizes smaller, and a lot stronger than I ever thought I could be. Thanks, Debbie for pushing me and believing in me!!! I moved here from Washington DC in September 2012 and found a gym as quickly as possible so that I could start putting together my routine. I really came to enjoy the Spin, Calorie Crusher, and Urban Iron classes. These all became a part of my routine as I prepared for my first Marathon in January. The more I took Urban Iron, the more I knew that I really enjoyed the intensity of the Instructor. Her name was Debbie and I did not want to miss any of her classes. One day during class she said she had some empty slots for small group training, which now for me is known as ‘Reicherts Gals.’ I jumped at the offer as I was stagnating in my plan and needed something new. I was introduced to the ladies of the Monday group where I would become a part of the foursome. The ladies welcomed me in like I had been there forever; I can not imagine working out without them. We have an amazing group workout ethic and we are all there for the same reason: for Debbie to make us better! She always has something fresh and extra special (burpees) for us, the workouts change weekly to keep our bodies guessing. We have now become a group of five and we work together like a team. We workout Mondays and Fridays and I can not imagine my week without my Reicherts Gals! My body image is not the greatest but I know it is getting better because of these workouts and the support of my small group members. I’m the grouchy one and everyone puts up with me! Debbie and I met via a mutual friend on Facebook! I started following her because of the things she was saying and her overall health outlook. I felt like we had a connection before we even met. I was at a point in my life where I needed to start making myself the focus of my day instead of everyone and everything else! I did not want a true gym experience….I wanted a small group setting so that l could find inspiration from others and have a connection with people. I met Debbie in November of last year and it has changed my life forever! Debbie has made me realize that I am strong…not just physically, but in so many other ways. She sees in me what I don’t see in myself. I think the one thing that I love about Debbie the most is that she is real. No sugar-coating with her and I appreciate that so much! I have been working out with Debbie in a small group for almost a year. Debbie is dedicated to bringing out the best in all her clients. She works tirelessly to guarantee that you meet your fitness goals. I’ve been pushed harder than I thought possible. It’s an amazing feeling when you finish a tough workout and you think to yourself, ‘Did I REALLY do that?’ It’s empowering!! The friendships I have made through our small group are another huge benefit. We solve world problems, share recipes, give advice to one another and encourage each other through whatever we may be taking on, inside or outside of the gym. Thank you Debbie for helping me become FIT, HEALTHY and INSPIRED!!!! !